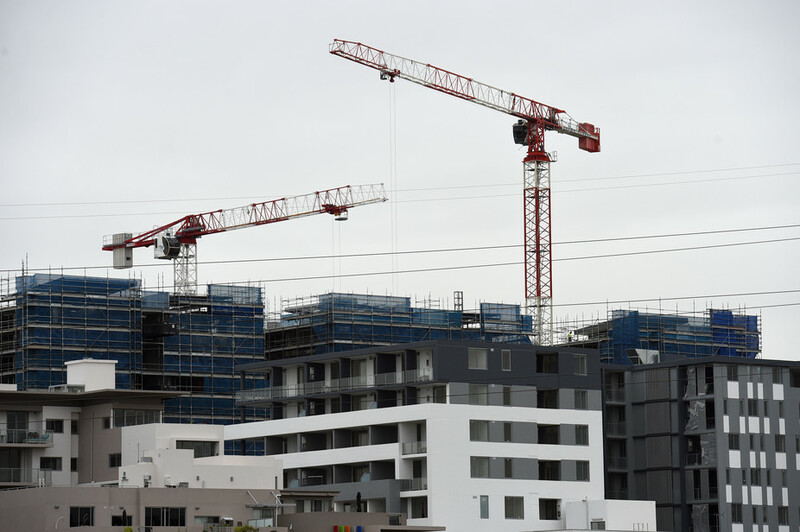 The Reserve Bank of Australia (RBA) sees housing finance as a smaller danger than in the past, judging by its latest Financial Stability Review, but we aren’t back to happy days just yet. A number of economic indicators still show there’s cause for concern in the property market. The review does acknowledge some problems in the apartment markets in Brisbane and Melbourne, but it sees major threats to the resilience of the Australian financial system overseas: examples are the rising debt levels in China, the low performance of European banks, the Brexit, and the impact of low milk prices on New Zealand farmers (with a possible feedback effect to Australian banks). The review highlights Australian banks’ stronger capital buffers and compliance with toughened prudential standards from the Australian Prudential Regulation Authority (APRA). Because house price growth has moderated and mortgage borrowers are substantially ahead of their scheduled payments, the risk from mortgage lending is somewhat lower. However, it’s surprising that the review doesn’t stress some aspects that are obvious. Although Australia hasn’t experienced the type of shock to the economy the United States did, due to the sub-prime mortgage crisis, there is substantial risk due to a large portion of mortgage loans being subject to interest-only periods of typically five years. Research for US home equity lines of credit finds the risk that people won’t be able to pay mortgage expenses increases substantially towards the end of flexible repayment terms, in particular during times of increasing lending standards. Mortgage borrowers often have the expectation that they are able to refinance at the end of the interest-only term into a similar loan with a new interest-only period. However, this rollover is not possible in economic downturns when banks suddenly tighten their lending standards and and are likely to cut refinancing. The RBA’s review shows that Australian banks have tightened their lending standards and have room for further tightening, but currently we do not see larger impacts on delinquencies. Current rates of people not being able to make their mortgage payments are low but may quickly change in an economic downturn. It’s also difficult to forecast whether this will change judging by medium- to long-term trends. There might be other reasons why people might struggle to make their mortgage repayments. We have seen central banks following the European and US central banks in lowering interest rates and markets are expecting a reversal in the future. As most mortgage loans in Australia are at a floating rate this would imply that the largest relative payment increase will be to interest-only loans, should the RBA follow these leads. In addition to this, Australia continues to enjoy low unemployment rates. This may change and lower the average income levels, putting more stress on people’s ability to pay mortgage loans. House prices continue to grow at annualised rates of approximately 10.2% and 9% in the largest cities Sydney and Melbourne. Housing price growth has slowed down, but prices are still increasing and new mortgages are underwritten based on house prices that are disengaged with national income levels. The growth rate continues to be above the historic averages and other developed economies that have experienced similar rate cuts. Banks have relatively reduced interest only loans and high loan to valuation ratio (LVR) style loans. However, it is also clear that origins of high risk mortgages continue at relative high levels. The fraction of interest-only loans has come down from 44% in December 2014 to 36% in March 2016. While this is a noticable decrease, more than a third of loans continue to be interest-only. The RBA’s review argues that Australian mortgage borrowers are on average approximately two and a half years ahead of the scheduled payments. This argument does not take interest-only loans into account. Prepayments are generally made into offset accounts which include a redraw facility and are generally used when new properties are used. In other words, these prepayments may be quickly depleted to increase leverage but also in situations when borrowers have difficulties making payments. The largest problem of Australian banks remains the dominance of housing loans on bank books. Approximately 60% of total loans are for residential properties, and 36% of loans are business loans dominated by commercial real estate loans and loans to small and medium sized companies, which are often backed by the real estate of the business owner. This over-concentration is the Achilles’ heel of the Australian banking system and hard to protect against. It’s a reflection of demand for bank loans in Australia and alternatives to bank lending available to large firms. International financial markets may provide a solution, allowing banks to diversify and risk transfer via asset risk swaps. Unfortunately, these solutions have not been explored much in the past . The reluctance to do this is mostly based on the poor performance of overseas assets during the global financial crisis. The RBA’s review further discusses the achievements under the Basel Committee on Banking Supervision to limit the systemic risk of financial institutions via increased regulation and higher capital buffers. The review further notes that no Australian bank is of global systemic importance. However this is not a reason for complacency as the failure of one of the largest Australian banks would lead to a great shock to the Australian economy. A further concentration in the banking industry would make bank products more expensive than they would be in a competitive system. Harry Scheule is a Friend of The Conversation. Harry Scheule does not work for, consult, own shares in or receive funding from any company or organisation that would benefit from this article, and has disclosed no relevant affiliations beyond the academic appointment above.